I am thrilled to share the brilliant news that an anonymous super angel donor will give $10,000 if it is matched by Dec 31st, 2011! Please join in and contribute to Dervish Society of America (DSA), the non-profit organization that supports Dancemeditation, right now. Your $25 becomes $50, $50 becomes $100, $500 becomes $1000… We have two weeks to meet the match. Let’s manifest the dream! We’ve begun an exciting (I had no idea it would be this exciting!) 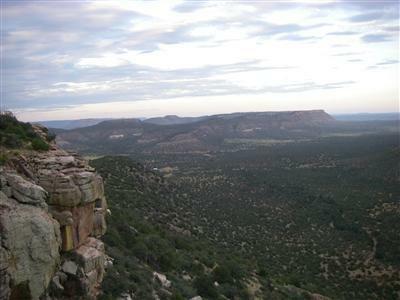 fundraising process to build retreat facilities at Ravenrock, 160 acres of high desert terrain at 7000 feet in Northeastern New Mexico. This truly exquisite property is where mystics and artists find sanctuary. We can pause from frenetic modern life, catch our breath, and connect deeply with our inner truth. The land, including a breath-taking 100-mile vista of uninhabited canyon and mesa, was secured earlier this year and is waiting to support our seeking. And thank you to our super angel donor and to you!